Earlier this month, former Welsh international Rugby Union player Gareth Thomas was the victim of a homophobic attack in Cardiff. Since then, many international teams including the All Blacks, USA, and France have played wearing the Rainbow laces to show their support. In light of this, the University of Manchester Women’s Rugby Union Club has been showing their support for the charity StonewallUK, a charity that campaigns for the equality of LGBT people across Britain. The rainbow laces work focuses specifically on inequality within sport, including exclusivity, insensitive language or chants, and abuse within the sport. 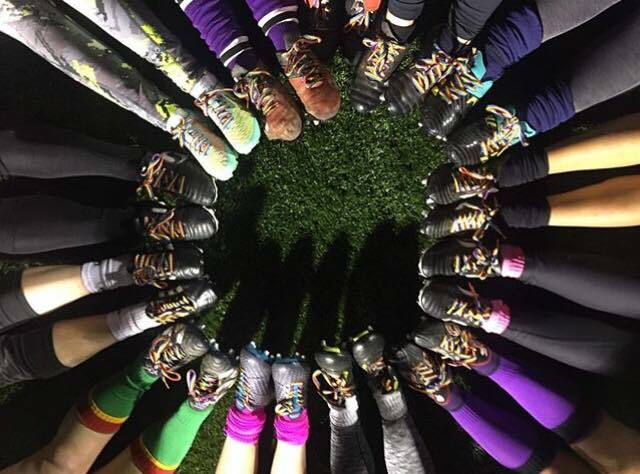 The 28th November 2018 was Rainbow Laces Day, during which sports teams of all different levels posted on social media to show their support for the rainbow laces cause. Rainbow laces can be brought from the Stonewall website for £2.99, not including postage. Research from Stonewall recently found that one-in-five 18 to 24-year-olds say they’d be embarrassed if their favourite player came out, and young people are twice as likely to say anti-LGBT language is harmless if it’s just meant as ‘banter’. Therefore it is extremely important that University sports team specifically take the issues faced by their LGBT members seriously. The Club Captain, Sannah Ifzal, had this to say: “it’s so important to support charities regarding the LGBT community, which is something that means a lot to me, and to a lot to the team. Stonewall is truly a great charity, and we are so proud that we can support in any way that we can, especially a team which has a high proportion of LGBT members. “We, as a club, are also looking forward to working with the charity Lifeshare which help meet the needs of homeless and vulnerable people in Manchester and Salford. “We will be gathering together boxes of items to donate to the charity specifically aimed at women, for example sanitary products and toiletries. This cause is particularly important over the winter period as the temperature drops and more people are at risk. If you would like to help us in supporting the charity by donating any items, or making a donation to help us fill the boxes, please contact us as [email protected]”.